Banyan Cay Resort & Golf is a scenic golf club wedding venue located in West Palm Beach, Florida. From intimate gatherings to grand wedding events, this venue provides a team of professionals who are available to make your dreams a reality. 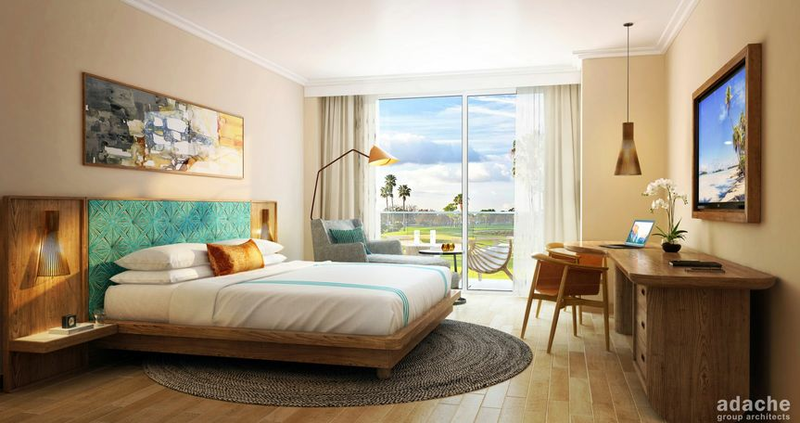 Additionally, you’ll have access to gorgeous views that overlook the lush green signature golf course or scenic waterways of the resort. At Banyan Cay Resort & Golf, the choice is yours, from the venue to the chef-prepared delicious meals. 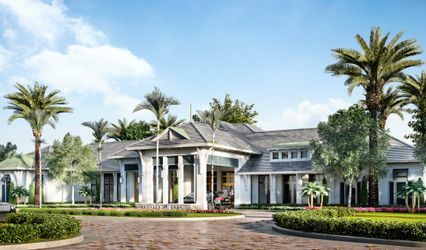 The Banyan Cay Hotel will start hosting weddings in October 2020. Banyan Cay Resort & Golf offers a variety of options for wedding ceremonies, receptions, rehearsal dinners, and more. There are two ballroom locations, including the Banyan Ballroom and Latitude Ballroom, which seat 750 guests and 150 guests respectively. There are also board and meeting rooms available that are perfect for smaller, more intimate gatherings. These spaces include the Palm Board Room, which seats up to 30 guests, the Bermuda Meeting Room, which seats up to 50 guests, the Tamarind Meeting Room, which is perfect for brunch, and the Sable Board Room. There are also two private dining locations available: Baleen Private Dining, seating 30 and offering views of the tropical pool and talents of the in-house chefs; and Club 300 Private Dining, overlooking the lush fairways of the Banyan Cay Golf Course. Additionally, Banyan Gathering Area and Banyan Terrace are both perfect locations for a cocktail hour after your ceremony and before your reception. Finally, there are lots of outdoor options for your event, including the extremely large Palm Gardens, the gorgeous Lake Event Lawn, the picture-perfect Grand Gazebo, the elegant Mangonia Pier, and the tropical Pool Terrace and SpaTerre Pool Terrace. Banyan Cay Resort & Golf can provide services for wedding ceremonies, receptions, bridal showers, engagement parties, elopements, and rehearsal dinners. Their list of event services include guest accommodations, bar services, catering services, setup and cleanup, event rentals, get-ready rooms, pet-friendly space, a list of preferred vendors, and complimentary WiFi. Chairs, tables, linens, barware, glassware, flatware, and china are also available for rental. The venue also provides parking, shuttle services, valet services, and wheelchair access. Banyan Cay Resort & Golf provides delicious cuisine options to couples and their guests. Their catering options include a delicious menu of buffet options, family-style options, hors d’oeuvres, plated options, and food stations. Couples may schedule pre-event tastings in order to design a customized menu. The resort also offers cocktail reception services, dessert, outside cake, and provides servers. This venue is located in West Palm Beach, Florida. It also provides services for clients in the Miami and Ft. Lauderdale regions. Be the first bride to book the Banyan Ballroom in December of 2020 and receive a 20% discount on your venue rental. Luxury Ballroom with chef-prepared meals offering a beautiful backdrop to your wedding. Valid for Wedding Packages of 50 or more guest and may not be combined with any other promotion or discount. Book your wedding at the New Luxury Banyan Cay Hotel and receive a Bride and a Groom Gathering Room complete with snacks and refreshments for the day of the wedding. No need to use the Bridal Suite, get ready in style with all your groomsman and bridesmaids. Offer valid for Wedding Packages at the Banyan Cay Hotel of 50 or more guests. Not valid with any other promotion. Cheese and fruit tray and non-alcoholic drinks will be provided.